When it comes to the many number of items you need to stock up on for a new baby, a car seat should be one of the first things you buy. From the moment you are ready to bring your little one home from the hospital through their first few years of life, this will be an essential item for your child’s safety when traveling. There are many different car seats to choose from, especially as your child starts getting older. They will need a car seat typically until they are about 8-years-old, and knowing the types of options available are essential when it comes to proper safety. It is also important to know how to correctly install it because 80 percent of car seats are installed incorrectly; this leaves them vulnerable if a car accident should happen. Infant seats are the most common of car seats and are solely for a rear-facing setup. 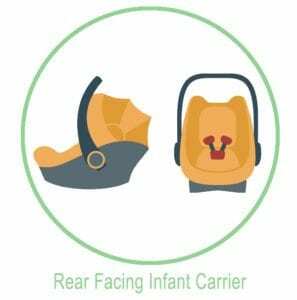 These types of carrier seats are the best option for your baby to use and typically include energy-absorbing foam to help keep your baby safe and comfortable. These seats also include a harness and cradles and moves with your child to reduce stress due to movement in the case of an accident. These types of seats tend to have a latch option that allows for the base of the seat to remain in your car and the seat may then be removed and snapped into specific strollers or stroller frames. This allows for baby to be moved in and out of the car without the need to continuously unbuckle and buckle. For suburban families who use both the car and stroller frequently, this is generally the way to go. These seats are larger in size than standard infant seats and can be used for rear and forward-facing positions. When coming and going from the car to another location, these seats require your child to be buckled and unbuckled as the seats remain inside the car and do not contain a separate carrying feature. Additionally, the advantage to these is that they may be used beyond baby’s first few months. These multi-use options are great for adjusting as your child grows. These types of seats can accommodate rear and forward facing needs and can later be used as a booster seat once your child grows up. The best part about these types of car seats is that the base can remain inside the car. Booster seats are just what the name suggests; it is a simple seat that offers smaller children a boost so they may properly reach seatbelt heights to allow for greater safety. Boosters are raised up so that the seat belt of the car can fit correctly across the sternum and upper thighs. Booster seats offer a variety of features including high backs that provide additional neck and head support or backless booster seats for children who are able to use the car’s built-in headrests. 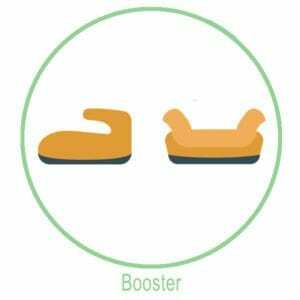 There are backless seat boosters, however, it is easier to adjust the booster seat with a high back. These seats are strictly designed for older children and should not be used by babies. Like rear-facing seats, these seats come with convertible, combination and all-in-one setups. For car seat shopping for an infant, be sure your car seat option you are purchasing is not a forward-only facing seat. First and foremost, the main thing you need to consider when shopping for a car seat is you have to make sure the seat you choose is the right size for your child’s weight, height and age. According to both the American Academy of Pediatrics (AAP) and the National Highway Traffic Safety Administration (NHTSA) children are recommended to remain in a rear-facing car seat until they’re at least 2 or 3-years-old. If your child is a newborn or an infant, there is no question that they will need a rear-facing seat. Infant seats typically carry children from 4 to 40 pounds, depending on the model of the seat you get. 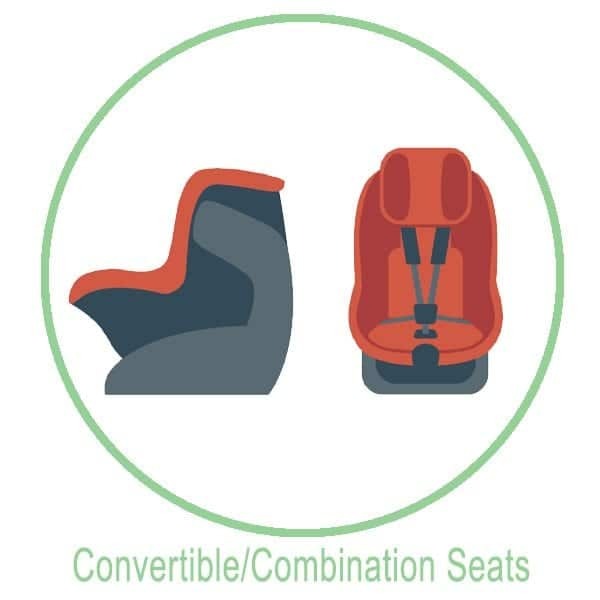 Convertible car seats have a similar harness as the infant seat, however, they accommodate for the higher rear-facing weight. The most important concern for the seat is the height of the child. 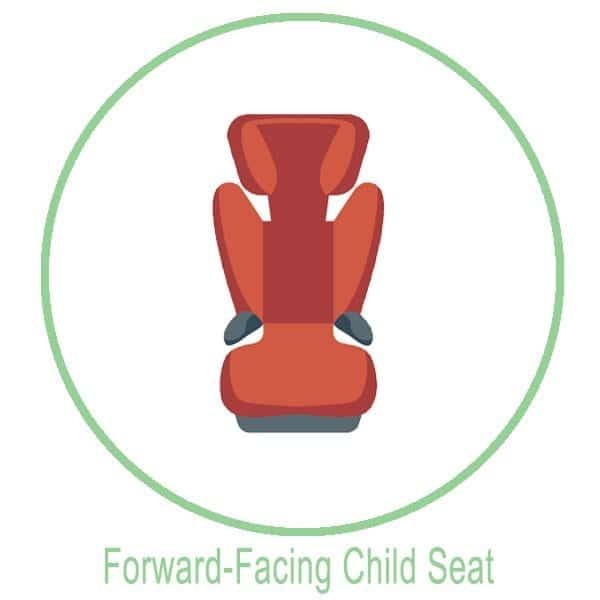 If the child’s head is within one inch of the top of the seat, it is time for a forward-facing seat. 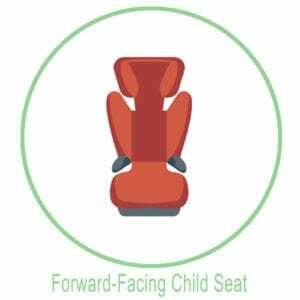 Once your child is about 3-years-old or has outgrown the infant seat, a forward-facing seat will be needed. When the middle of the head of the child or the ears are above the top of the seat, it is time for a new type of seat. Another way to test if your child has outgrown their convertible seat is if their shoulder level is above the top of the harness. If your child is over 40 pounds or 7 to 8-years-old, it is time to get them a booster seat. This is different than a convertible seat and an infant seat because you use the actual seat belt of the car instead of the harness. 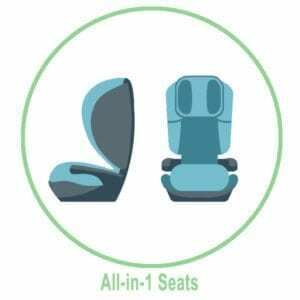 Like everything else, some seats are higher priced than others because they have access to more features that make it easier to install the seat, as well as some extra safety measures that go above the federal standard. Basic infant seats can start in the price range of about $75 with all-in-one seats starting at about $300. Depending on the available features and style of the car seat, prices can range up to $500. Keep in mind that the higher price of a seat does not necessarily mean that it is higher quality. As long as the seat is meeting the federal standard for child restraints, then it is good to use. 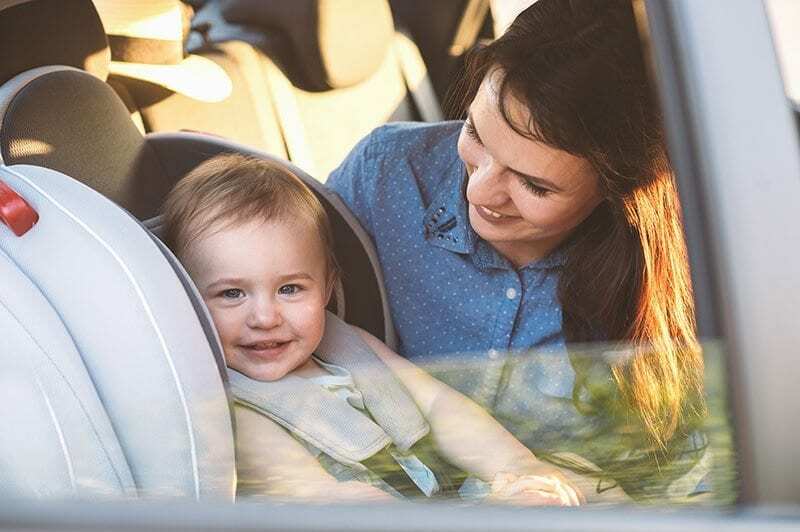 When shopping for a car seat, it is important to keep in mind that children should remain in a rear-facing car seat until a minimum of 2-years-old. Harness: When buying a car seat, a five-point harness is crucial. Be sure to look for straps that don’t feature tricky adjustments or buckles but rather are easy to latch and unlatch. Head Support: Since newborn babies are unable to hold up their own head, look for a seat with a built-in insert for proper head support rather than using an attachment. Side Protection: For additional safety and comfort look for car seats that include deep sidewalls and adequate padding around the head, neck and spine. You can also check the manufacturer’s website for any claims about side-impact protection. When it comes to proper car seat safety, the biggest issue occurs when seats are installed wrong, so make sure you are using the instruction manual and the diagrams included to correctly install the seat. 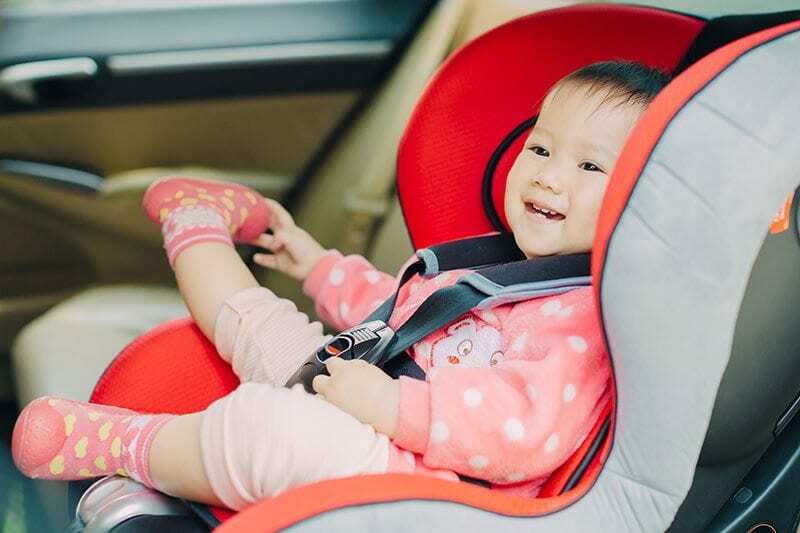 Be sure that the seats are also not moving more than 1-inch side to side when installing and that when you set up a rear-facing car seat, the shoulder harnesses are at or below baby’s shoulder level. Ideally, you will be advised by an expert in both: the purchase and installation of the car seat.